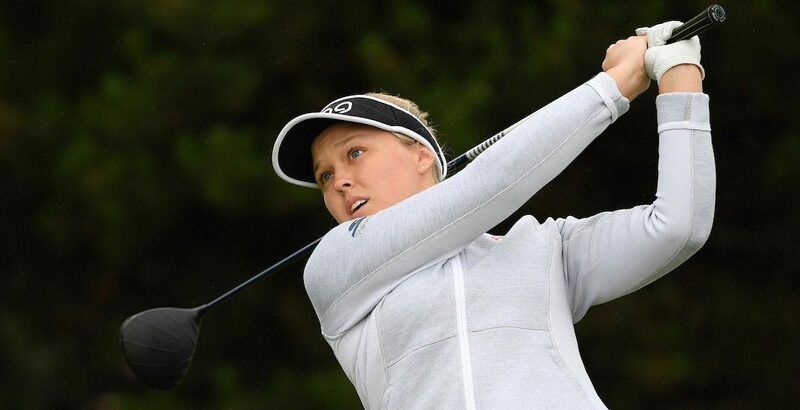 Of all the major championships, none have given Canadian golfer Brooke Henderson more trouble than the Women’s British Open. One of the top female golfers in the world, Henderson ranks eighth on the LPGA money list this year. The 20-year-old Smiths Falls, Ontario native already has six-career tournament wins on the LPGA Tour, including the 2016 Women’s PGA Championship title. She’s finished in the top-10 at four of the five majors in her career. The exception is the British Open, where Henderson has finished 61st, 50th, and 49th over the past three years. Despite less than ideal conditions at this year’s tournament held at the Royal Lytham & St Annes Golf Club in Lancashire, England, Henderson’s luck appears to be changing. Henderson one-hopped the 144-yard, par 3 ninth-hole – helping her to a -5 score through two rounds, placing her in a tie for eighth place. Not only did the ace help her score, it raised £2,000 for Alzheimers research. It also earned her some bottles of wine, which she donated to the media on-hand, which will surely guarantee her some positive coverage for a while.